Numerologist Louis Hamon (1866 – 1936) – also known as Cairo was considered to be today’s greatest visionaries, which has the most success. More than forty years he devoted research work in occult sciences and, through his books, became the most outstanding representative of the teaching of the hand (palm). Cairo, working as a lecturer, war correspondent, newspaper editor in London and Paris, toured all over the world: at the beginning of his career he lived in the East, to have the opportunity to explore the forgotten wisdom of the Indians and other peoples of mysticism. London, he founded the salon, which was attended by many world famous people. Indian old researchers were aware of the school of wisdom, but to transfer them to posterity, they have so carefully tried to keep his secrets, the key that could open access to their truths, for the most hidden superstition and charlatanism dust. We can only hope that once the truth will be brought back in daylight. The ancient people, the Chaldeans and Egyptians, a masterly knowledge of the occult, or hidden meanings of numbers in terms of time and human life. By studying these issues, we must not forget that it is the Indians discovered the so-called equinox procession. According to their calculations, the procession is repeated every 25,827 years. Modern science has shown the accuracy of the calculations after centuries of labor. This, or how could they make such calculations, remains an enigma. Observations such a long period of time is unlikely to be possible to quantify without a suitable arrangement is inconceivable, because science is nothing else to believe as the beginning of the following statements on the word and then prove their accuracy. Indian lore, like the Chaldean doctrine of the so-called planetary-year cycle length, came to us from the very earliest times. With the help of modern apparatus was also demonstrated its accuracy, because when a person begins to study the science of numerology, the only correct action is to accept this ancient theory of excellent people, or at least check their knowledge without any bias. It is impossible to mention all the examples, which strengthens the belief in occult meaning of numbers, but the reader will probably appeal to some illustrations as to why the number 7 for centuries been regarded as a mystery figure, which refers to the spiritual side of things, and why the number 9 while the figures in row or the series was considered to be final or the final figure, which is based all our calculations. 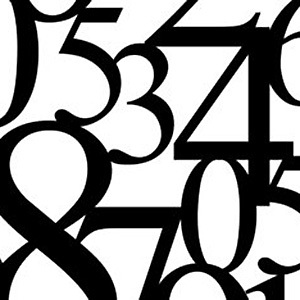 Even careless observer will recognize that all of the usual numbers, preceded by the number 9, is only a repetition of the first nine numbers. Here are even a simple example. Number 10 is the number of repetition of itself. Number 11, where the components are put together by the natural counting rules, as did the ancient occultist, it is, from left to right, number 2 repeats, 12 repeats 3, 13 repeats 4 and so on up to 19, which in turn becomes (1 plus 9) equal to 10, so – again, repetition, and so on to infinity. Later will be shown that throughout our materialistic number system numbers from number 1 to number 9 are the foundation upon which we are forced to build all the other numbers – like in the seven major or basic harmony in music is all music itself, as the seven primary colors are all the colors combination of basis. Continuing may recall that all of the “Seven” in the Bible and other Holy writings are always subject to the mysterious divine power.